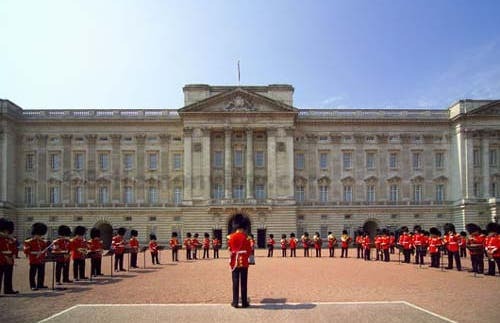 Most famous home in all of London! As far as superlatives go, this takes the cake: the largest palace in the world, the largest private gardens in London, and is the most obvious target in the UK. It's found at St James Park and Green Park, at the Hyde Park tube stop, and was built by the Duke of Buckingham in 1703. Queen Victoria was the first to live there and, since then, it has been home to the English royals. The changing of the guard is a daily happening where 20 senior guards with tall fur hats march(11:00 h)and it's recommended to go an hour early if you want to have a good look. The Buckingham Palace Square is dominated by the palace itself, the official residence of Queen Elizabeth II, and the monument to Queen Victoria. Surrounded by gardens, in the southwest, the gardens of Buckingham Palace, on the north by Green Park and on the east by St. James Park, which has a lake you can see from this square.